Dateline: Roswell, Ga. Just four games ago, the Lady Cougars wandered onto the Brandon Hall gymnasium, and into their own personal Armageddon, as the Lady Panthers exploded for 69 points and bested their rivals by fifty. Over the intervening contests, the Cottage contingent exhibited continued growth, so Wednesday evening’s match offered a perfect opportunity to gauge their improvement. The first quarter witnessed an infinitely more aware and aggressive defensive presence on the part of the home town team. Brandon Hall’s offensive phenome Eda Urzmek did slash her way to six first quarter points, but she expended a great deal of energy in doing so, and never approached the huge scoring binges that characterized the first contest. While Urzmek connected on some of her shots, quick rotations in the zone prevented any of her teammates from tallying points of their own. In the meantime, Cottage used offensive balance to retaliate with 5 points, coming on the strength of a Maria Knezek foul shot, a crafty inside move by sixth man Emily Daugherty, and an inbound finish from freshman Tracy Li. In the second period of play, Cottage ran into an offensive roadblock, where miscues, rushed decision making, and tight rims conspired to limit the Cougars to 2 points. Super sub Alex Nebel accounted for this second quarter outpoint with a nifty jump shot. Fortunately staunch defense prevented the visitors from achieving a great deal of separation, as the half ended with the Panthers enjoying a 15 – 7 advantage. 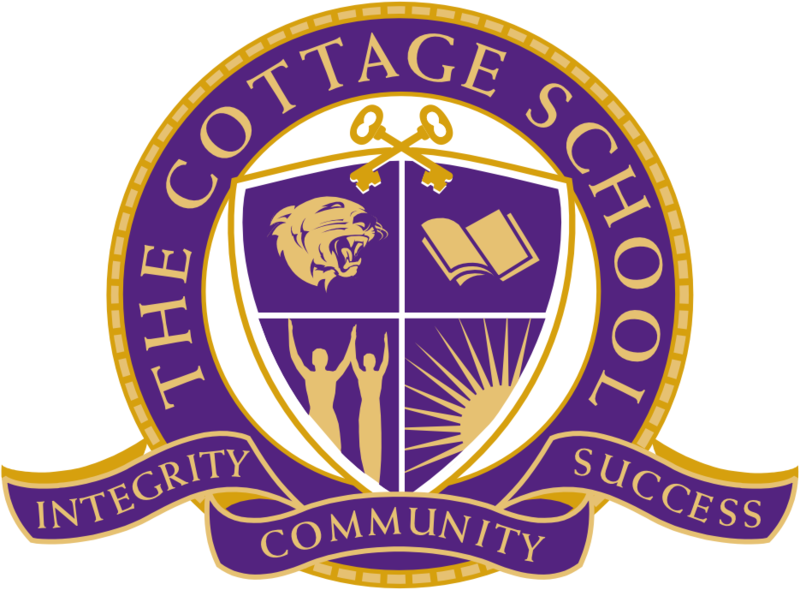 The third quarter largely resembled the second in that Cottage continually experienced trouble in generating points, only adding three to their game total, while the visitors expanded their lead to fifteen points. Significantly, despite force feeding their main gun the ball, the Lady Cougars continued to cap Urzmek’s production. The final frame finally saw TCS shake off the offensive cobwebs and score some points, as they lit up the scoreboard for nine more points despite playing with a variety of unconventional line-ups. When the game ended Brandon Hall came away with a 31 – 19 victory. While a clear win, this 12 point victory was a far cry from the 50 point rout experienced a few weeks before. 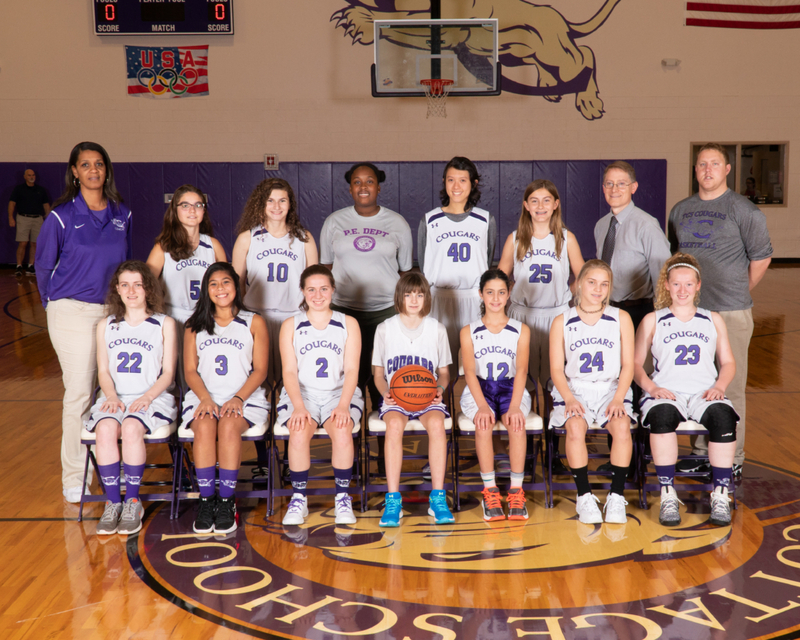 The Lady Cougars believe that their improved play will carry over to Friday evening’s critical conference game at The Howard School. The starting triumvirate of guards (Natalia Hoeve, Natalie Yager, and Maria Knezek) found themselves limited in court time due to a number of factors, principally the fact that all three represented their school in a GISA swim meet at Georgia Tech less than 24 hours before. Plagued by quick whistles all night, Hoeve parked herself inside of the personal space of any ball handler on the perimeter. Hoeve recorded a steal and a rebound, as well as a number of floor burns in her efforts to claim each and every loose ball. Still reeling from an injury sustained at the previously mentioned swim meet, Yager logged her most limited minutes of the year. Despite the reduced playing time, Yager turned in another well rounded performance, as evidenced by her 4 rebounds (2 offensive), 1 assist, and 2 steals. Knezek played wire to wire, hitting the boards for 3 ‘bounds, dishing an assist, thieving the ball 10 times, and leading her team with 5 points, including an exciting buzzer beater to conclude the game. Emily Daugherty came off the bench in swingman capacity this night. In her first quarter cameo, Daugherty filled in at post, but she also clocked in for perimeter duty at other points in the game. Emily stole 2 balls, scored 4 points, and swept the offensive glass twice. Bench players Alex Nebel, Finley Love, Maxine Moore, and Analin Merchant all spelled the perimeter positon. Nebel entered the game early, and largely filled point guard duties when Yager took to the bench. Nebel pitched in 4 points, blocked a shot, handed out 2 assists, and hauled down 7 rebounds for a well-rounded stat sheet. Love received the nod in both the second and fourth quarters, where she demonstrated no hesitation in putting the ball to the floor in order to advance her team’s offensive attack. Love came up with 2 rebounds, with one on each end of the court. Moore helped to slow the perimeter attack for the visitors, while Merchant grabbed a rebound, and squeezed off a good looking jumper in traffic. Tracy Li secured her second hoop of the young season when she finished an inbounding play with an authoritative move to the basket. Li also knocked a ball loose for a steal, while fighting her way for an offensive rebound. Julia Baumohl and Brandy Michelle Finnell shared starting duties for the frontcourt. Baumohl cleared the boards 5 times, earned both a steal and a blocked shot while also earning two separate trips to the foul line. Finnell led the way in the rebounding department, fighting her way to 11 boards, including 3 offensive. She also tallied an assist, stole 2 balls, and scored 4 points. As usual, Finnell’s point production came on the strength of her play from inside the paint.